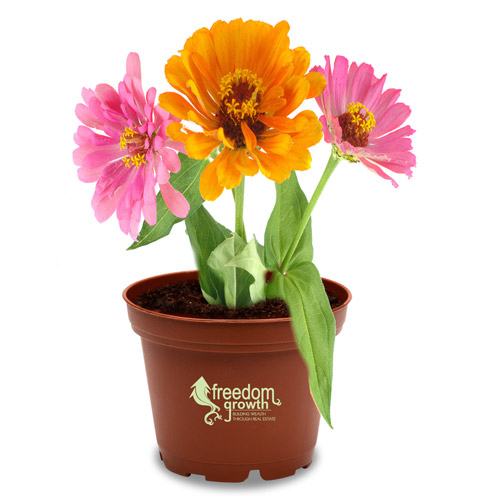 Grow Seeds & Shapes, let's Plant Seeds of our Future. 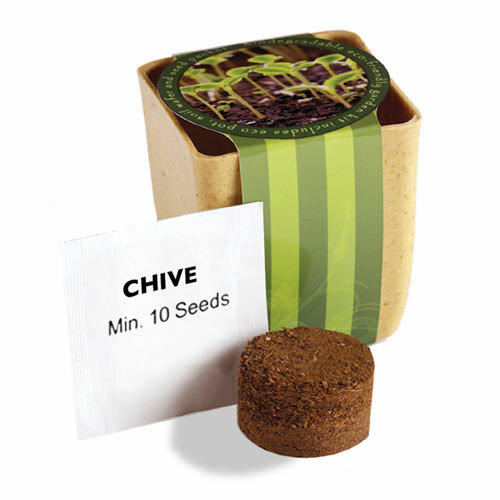 Promotional Grow Seeds will help sustain our planet for a better world. 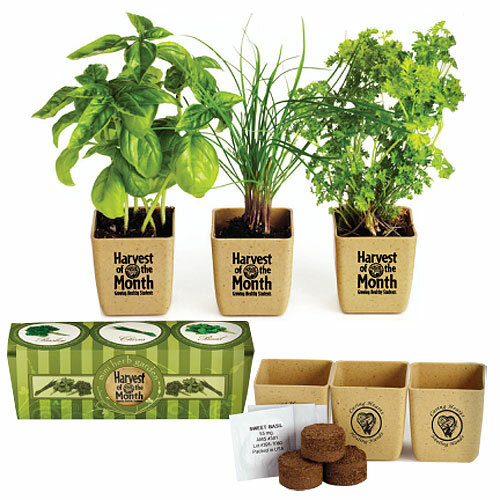 Use our planting seeds and shapes and watch your business grow while saving the planet. 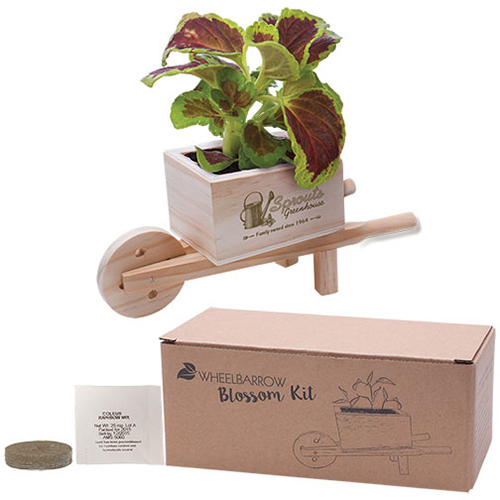 Custom Plant Kits, it doesn't get greener than that. 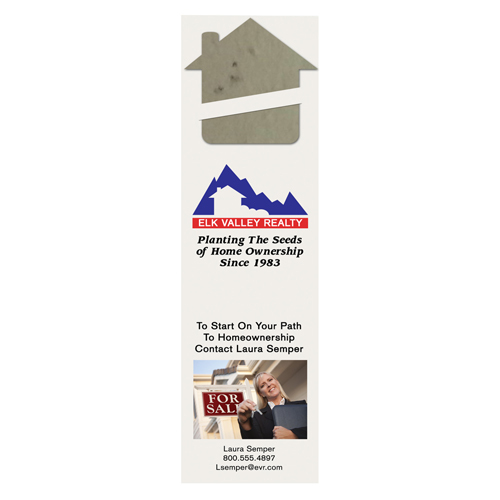 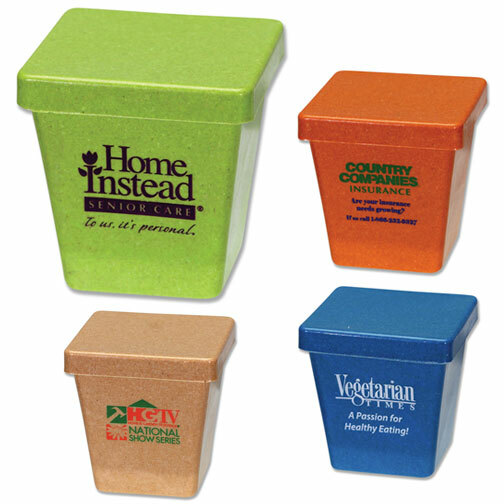 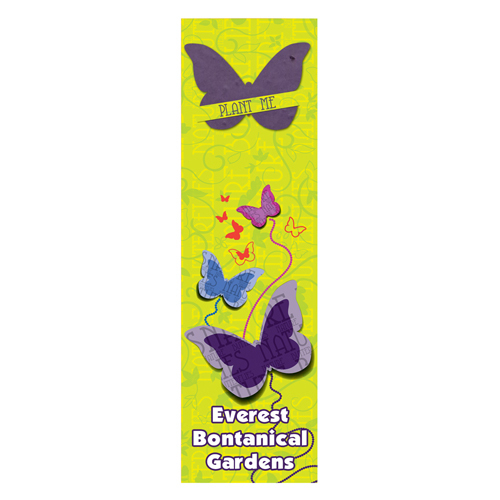 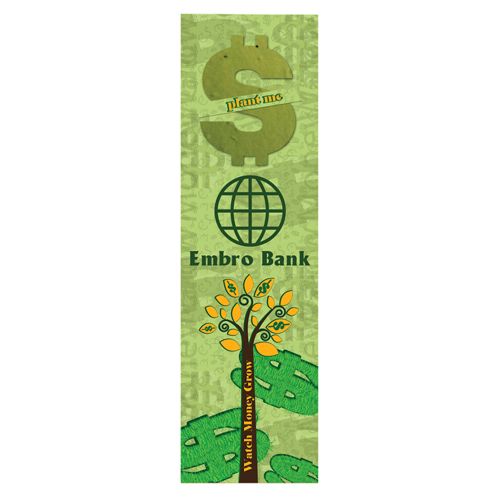 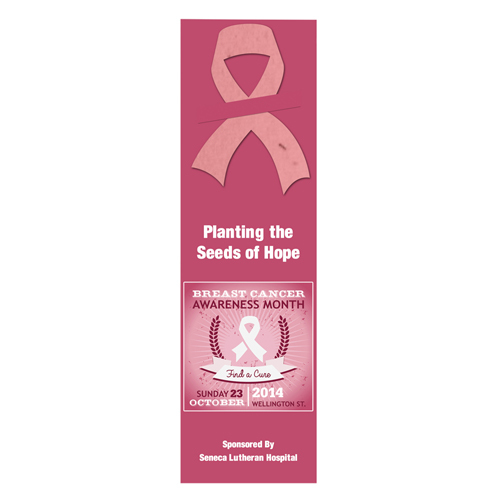 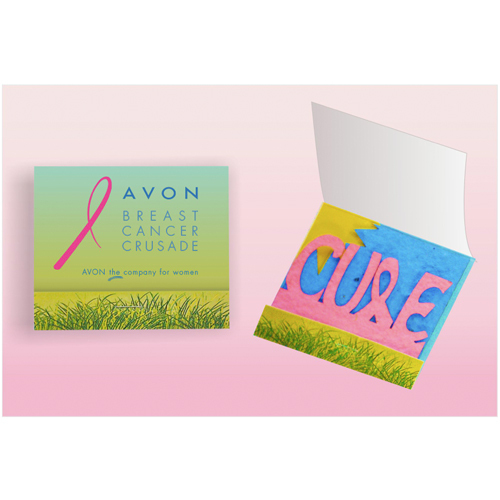 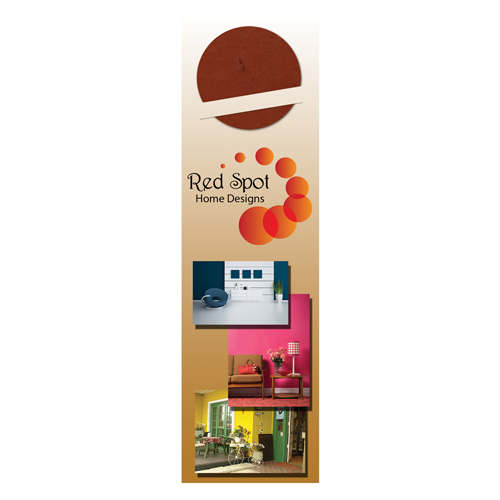 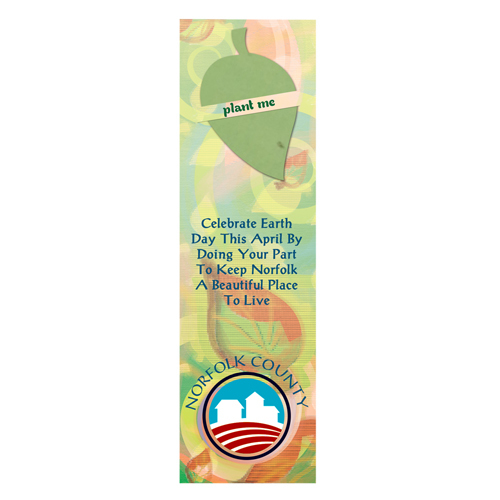 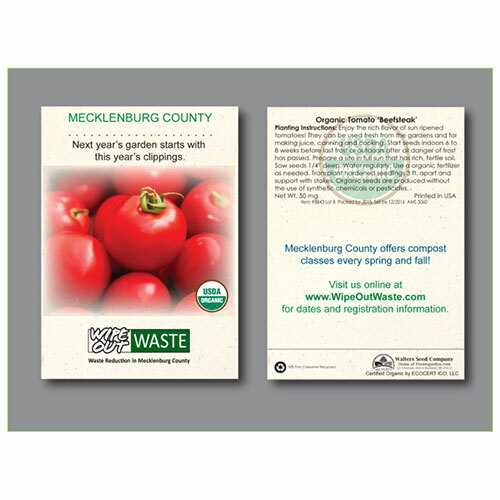 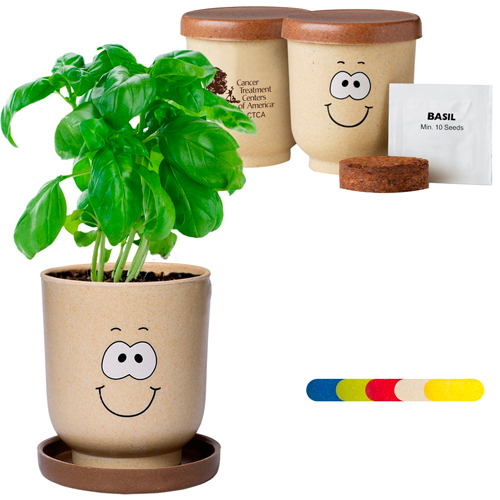 From office dirt to plant seed bookmark mailers, grow cups, and plant kits here you can find any growing promotion. 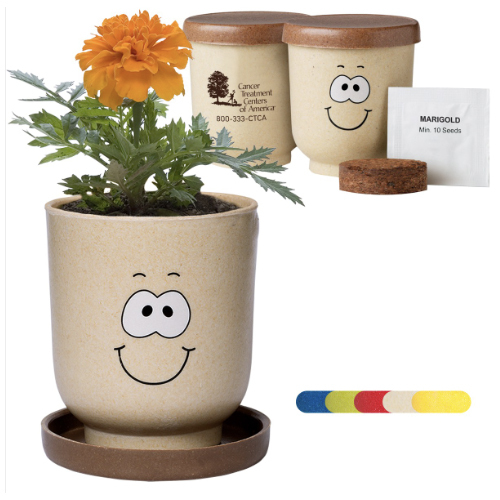 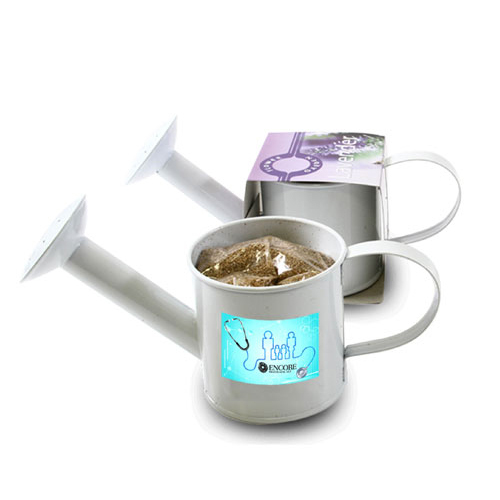 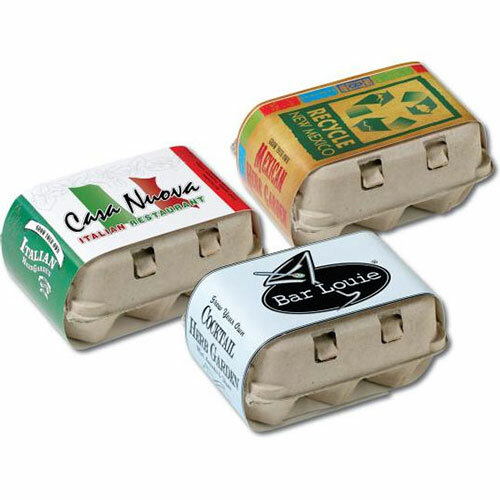 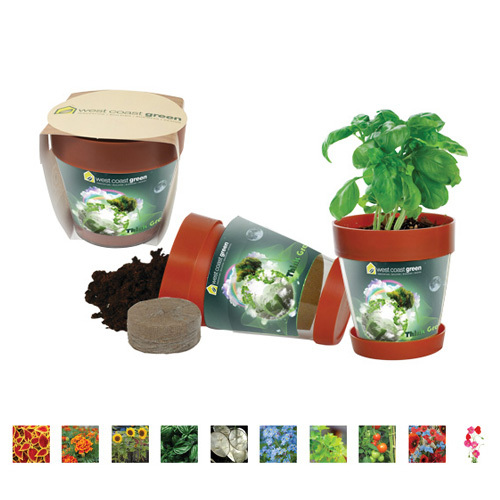 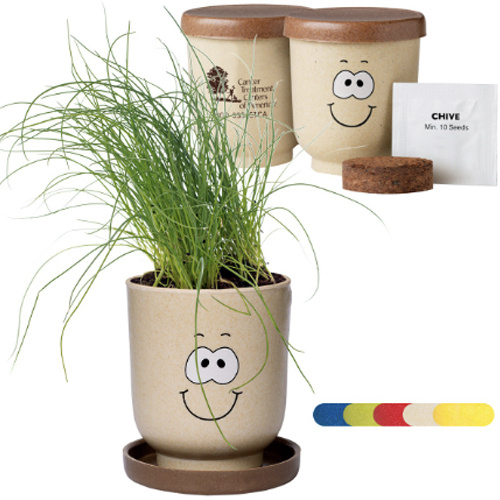 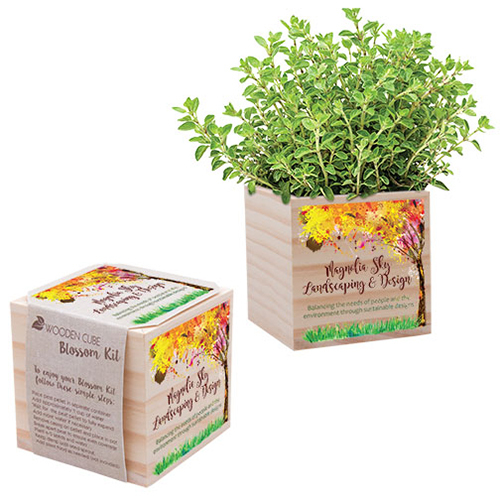 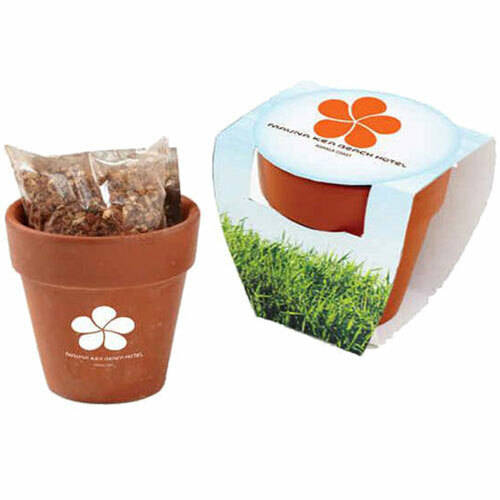 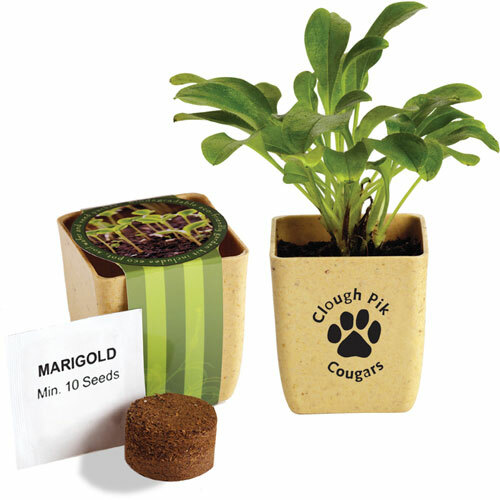 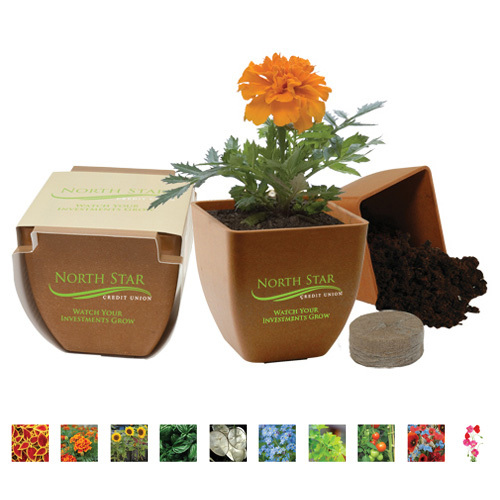 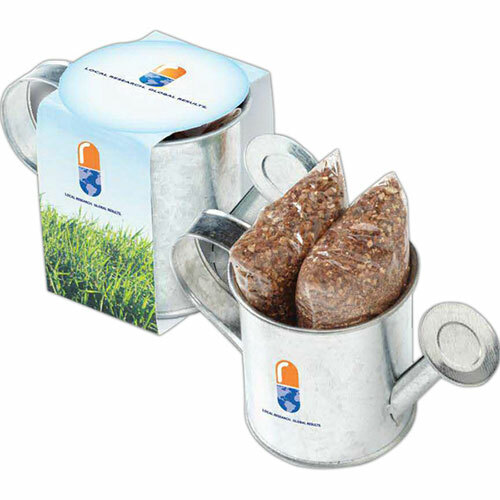 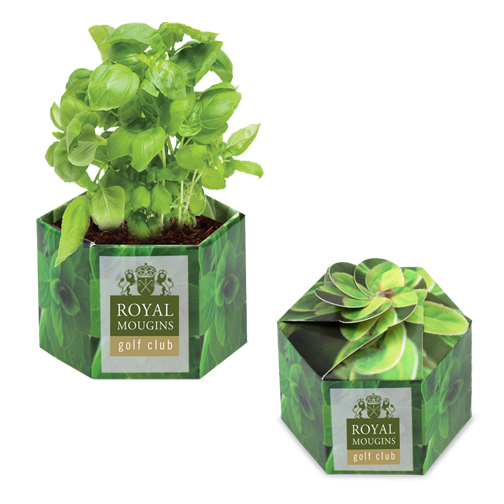 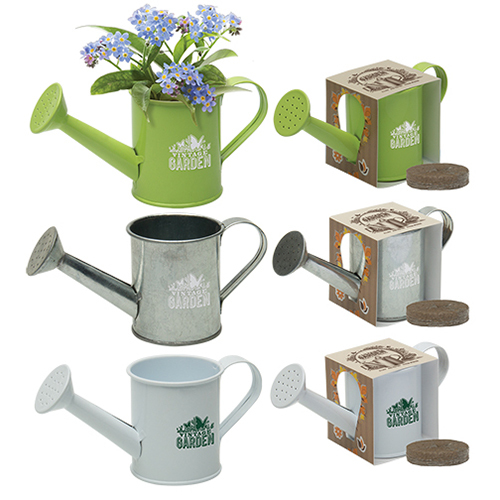 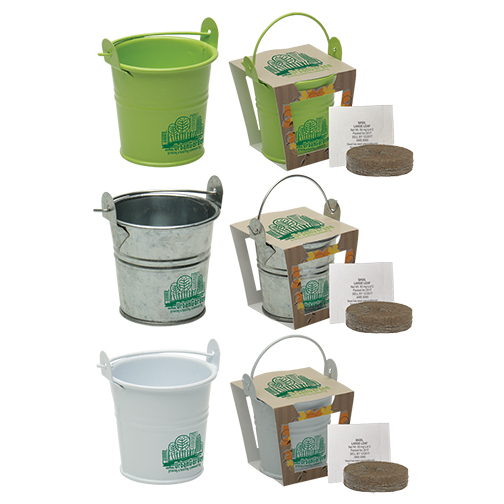 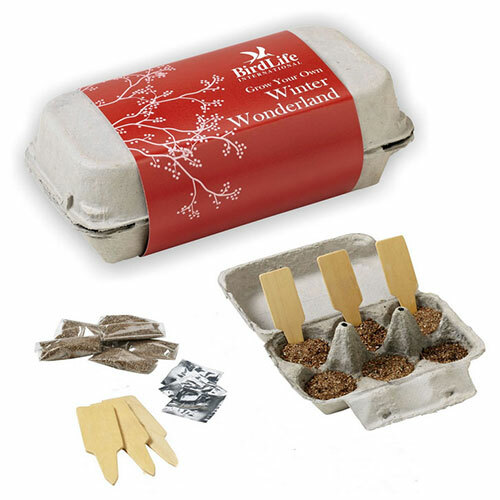 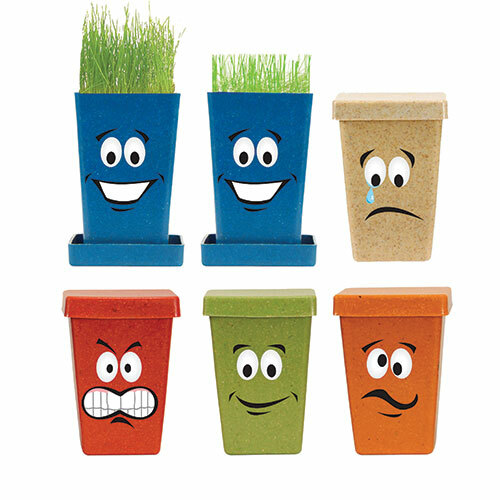 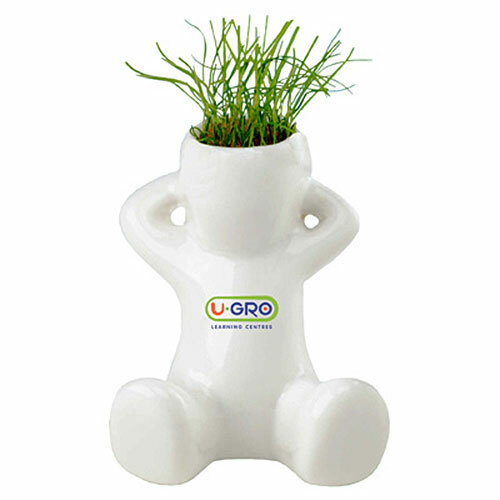 Our Grow Cup Eco Plant Kit is a recyclable grow cup with eco-friendly images. 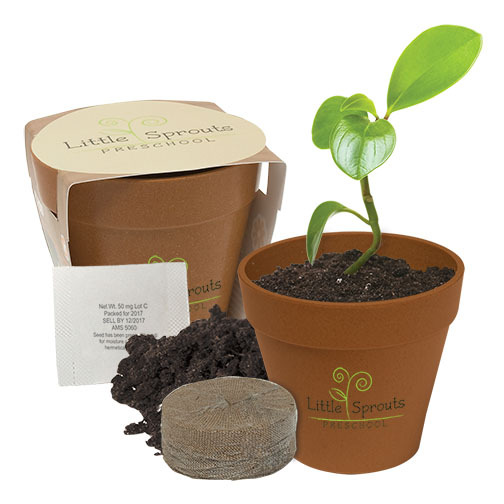 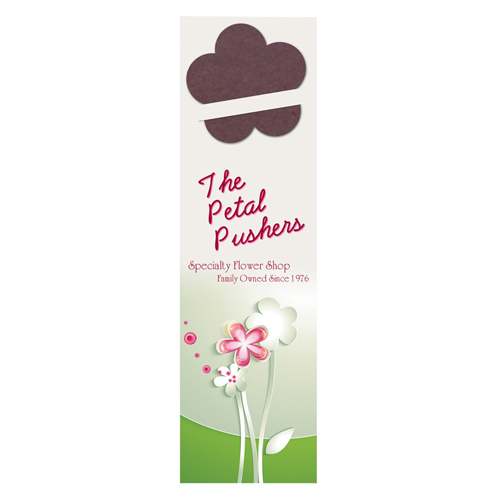 Nutrient rich soil wafer colorful seed packet.Many of our plant kits have colorful plants which bloom into a lovely flower. 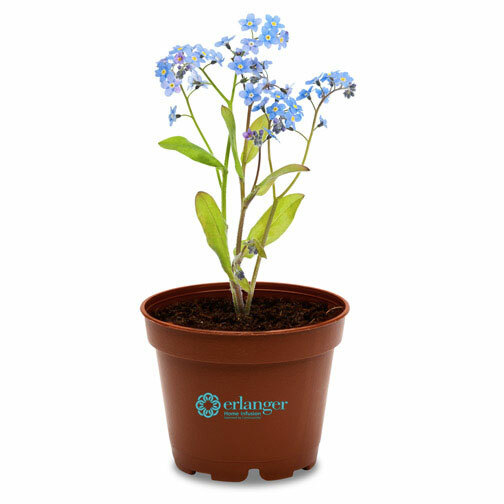 A great added decoration to anyone's desk.